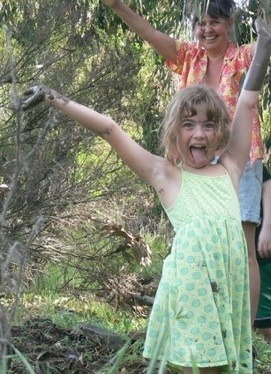 Wild Zones provides consulting services internationally to people and institutions concerned with fostering children’s free play in nature and creating intergenerational projects that build community. David has worked for over 20 years as a counselor, teacher and advocate for young people in schools, colleges, adventure playgrounds, arts centers, their homes, and the street. He worked for 10 years for the Inner London Education Authority with boys who had been suspended from school for violent or racist behavior. From 1996-2000 he was Project Manager of The Edible Schoolyard at Martin Luther King Middle School, a multi-racial school in Berkeley, California. He worked with nine hundred 11-13 year olds to transform a trashed out vacant lot into a beautiful and productive garden that has been widely reported in the media. He has spoken about children’s issues at conferences, and to businesses and NGO’s the U.S. and England. He is the father of three grown sons. 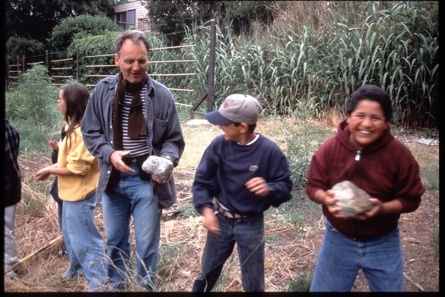 David discusses his work with children and youth and in particular the importance of play in the development of the Edible Schoolyard in Berkeley. Karen has worked as a consultant, writer, filmmaker and workshop leader for over 25 years, focusing on issues of social and environmental justice, community development, anti-racism, violence prevention and social change philanthropy. As Program Director of the American Community Gardening Association (1996-2000), she designed and implemented ACGA’s program ‘From the Roots Up’, which provided mentoring, leadership development, community organizing and anti-racism training in low-income neighborhoods across the United States. Karen was the director and producer of Turning of the Tide, a one-hour documentary that tells the story of admirals, generals and scientists involved in nuclear defense strategy, who had a crisis of conscience and became anti-nuclear activists (Channel Four, 1988). She was also production manager and consultant for several other documentaries for Channel Four TV. Her book, Between Ourselves: Letters between Mothers and Daughters 1750-1982, gives a history of women’s rights issues through the letters of famous and unknown women. It was a bestseller and was in print for over 20 years (Houghton Mifflin/Michael Joseph,1983; Picador, 1884; Virago,1995). She is Consulting Producer of the Oscar-nominated documentary, The Most Dangerous Man in America: Daniel Ellsberg and the Pentagon Papers. Karen also researched, wrote and produced the website for Marion Rockefeller Weber’s innovative philanthropy initiative, Flow Funding. She is a co-founder with Tracy Gary of Unleashing Generosity, and co-author of “Inspiring Youth to Bring About Change: Tools for the Generosity Generation” – a curriculum for teens to learn about philanthropy and participate in Youth Giving Circles. 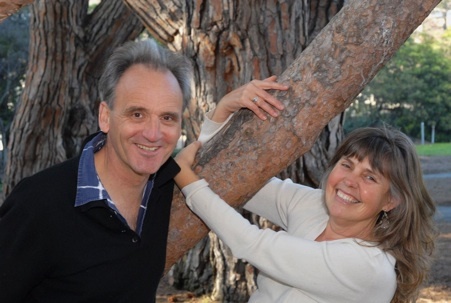 In 2000, Karen and David co-founded Transforming Violence, an initiative to build social intelligence and offer opportunities for people to participate in creative strategies for preventing, stopping and healing violence. They created the exhibit Cultivating Community at the Eden Project in Cornwall, England.